Are you in the market for a new business insurance broker? Then you need to continue to read this article. Your business exposes you to considerable risk and you need the best possible combination of business insurance coverage, pricing, and service. All three of these are critical to the success and effectiveness of your business insurance program. We believe it is important not to cut corners when developing a business and risk management program for your business. Bid your business insurance to a number of brokers and select the lowest bid. Complete a broker evaluation, and then select the broker you feel is most qualified for your business. Let us look at the each of these options individually. You will get a number of brokers interested in bidding your insurance. Competition drives the premiums down. It may take less of your time. You will have multiple brokers going to the same markets causing market saturation and confusion. It may not be a level playing field. You may get a bad broker with a good market, or you may get a good broker but with a bad market. Markets are limited as compared to the number of brokers. You have to develop the insurance specification yourself, and if you make a mistake in the coverage, the broker may be off the hook in the event of a claim. How do you know the lowest bid offers the same or best coverage? Complete a broker evaluation then select the broker you feel is most qualified for your business. Allows you to select a broker that fits your style and needs. You end up hiring the most qualified broker. Once you select your broker, the broker is able to go to all the markets. Allows you to develop a relationship. You are also evaluating the broker’s support and service team. The broker develops the insurance specifications—not you. If there is an uninsured claim you can rely on the broker to help you. May take a little more time. It is clear that the most effective way to buy insurance is to select a broker then allow that broker to market your business insurance. We have talked to many business owners and they have told us what is important to them. It really comes down to three things; coverage, price, and service. If you bid out your insurance you are only guaranteed one of these—low price. Let us review the three most important factors when securing business insurance. Coverage – Your business needs and wants the broadest commercial/business insurance possible. Every industry is different, so it is best to select a broker who knows your industry and the specific coverage that is required to manage all the many different kinds of risks you have. For example, if you own a restaurant you need coverage like liquor liability and food spoilage. However, if you are an architect, you most defiantly need professional liability insurance, not food spoilage coverage. Price – Price is a function of coverage and your broker can offer you options based on the needs and comfort you have with taking risk or not taking risk. If you bid out your insurance, brokers are apt to offer cut-rate coverage in order to get the business, which is not good for your business. Service – Service comes into play after your policy has been delivered. 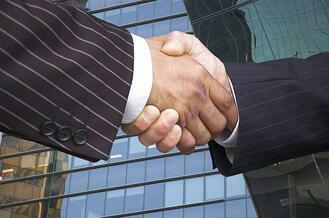 Broker services can be very important in the day-to-day handling of your business. For example, are certificates issued on time? Are phone calls returned promptly? If you have a claim, will the broker be there to manage it for you? If you select the low-cost broker, it is guaranteed they will be counting dollars every time you call their office. Here are a set of questions you can ask during your qualifications interview. Tell us about your experience in our industry? Who are the other team members who will be servicing our account? How often would you purpose meeting with us? If we have a claim, what do you see as your role? Do you have customer service standards? If so, what are they? Tell us what a typical business insurance renewal might look like. Review their web page. Look for testimonies. Request a proposal for services and qualifications. Remember insurance is not a commodity, it is a relationship. Select a broker that is more interested in education not just selling. Quality always is more important than size.